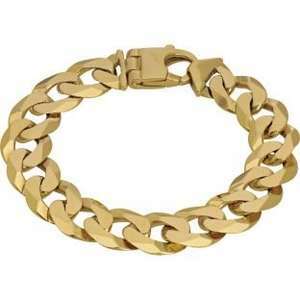 A chunky bracelet in 9ct gold. good reduction but not worth buying 9ct. cheap gold and still only worth about £400 at the very best once you remove the 100% mark up and labour costs. Very expensive for what it is, even after discount. This is scrap metal itself, no need to scrap! no, jewellery accrues value through the quality of materials used and the design. unfortunately this doesn't do well in either categories. just my opinion of course. it is generally always wiser to buy secondhand/antique jewellery. good reduction but not worth buying 9ct. cheap gold and still only worth … good reduction but not worth buying 9ct. cheap gold and still only worth about £400 at the very best once you remove the 100% mark up and labour costs. Assuming this is two troy ounces then Hatton Garden Metals will give you £547 for it as scrap. Troy ounces are the standard for precious metal, but they are not the same weight as ordinary ounces used for food, etc. Very occasionally one can find jewellery at reductions that bring it close to its scrap value, or even under if the retailer is careless or clueless. Because chavs have 1k laying around..
Oh, leave it out, Rodney!